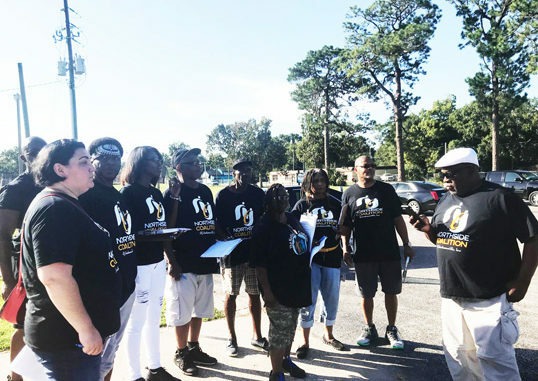 For four hours, members of the Coalition decked out in the groups black and gold tee-shirts talked with and engaged people on the street and went house to house knocking on doors. Understandably some were too afraid to even open the door, many have been traumatized, shell shocked by gunshots, yellow tape, bloody crime scenes and bad dreams. This canvassing campaign was coordinated by “For Our Future Florida” and NCOJ. The boots on the ground data collection effort concluded that the majority of those interviewed expressed: a) there is great distrust in law enforcement and that many feel that blacks are victims of both implicit and explicit racial bias throughout the criminal justice system. b) The majority also expressed they are subjected to daily to racial, social and economic injustices. 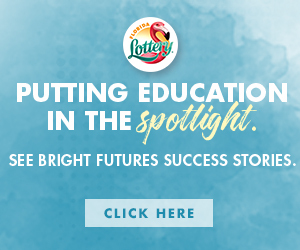 c) most residents feel there is a direct connection between unemployment, poverty and crime and at the top of this list is their feeling that there is a desperate need for job training and jobs. 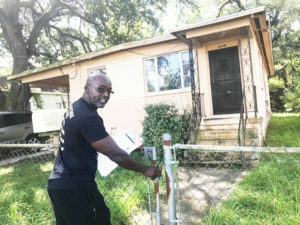 Shown is Tyrone Robinson entering a resident’s property to complete the survey.